Cardiovascular disease is the leading cause of death in the United States, accounting for approximately 801,000 deaths annually. Even more shocking, it’s estimated that nearly 92.1 million Americans are currently living with some form of cardiovascular disease. Cardiovascular disease progresses as plaques build up in blood vessel walls, impairing blood circulation. This process can cause hypertension as well heart attacks and stroke. 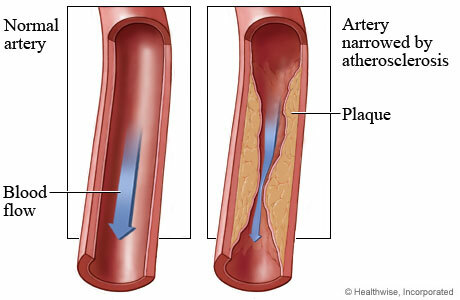 The 2 latter conditions occur as plaque or blood clots break off from the blood vessel wall and become lodged in a narrower blood vessel, cutting off circulation to the affected area. While we understand that part of the process, what we don’t understand is how and why this happens. The predominant theory is that the primary driver is high cholesterol levels, but it’s interesting to point out that nearly half of all heart attacks occur in people with normal cholesterol. This indicates that elevated LDL-C may contribute to cardiovascular disease, but obviously something else is going on as well. This isn’t to say that cholesterol doesn’t matter or that lowering your cholesterol won’t have a therapeutic effect. Lowering cholesterol with statins or PCSK9 inhibitors does lower one’s risk for a heart attack, as evidenced by a ton of studies that have been performed on the subject. But does this approach make the most sense? For the most part, if you’ve had a heart attack, the evidence is pretty reliably on the side of lowering your LDL cholesterol if it’s high. But what about those of us who don’t currently have cardiovascular disease and would like to avoid it? It’s important to point out that lowering your LDL cholesterol is not without its issues. Cholesterol is a very important molecule in your body, and side effects of lowering LDL cholesterol range from muscle pain to increased risk of Type 2 diabetes. Why suffer the side effects if there’s a better target to attack? Chronic inflammation: The real culprit in cardiovascular disease? High LDL-C isn’t the only game in town when it comes to cardiovascular disease. Recently, there’s been a shift in focus towards another potential culprit in cardiovascular disease: chronic inflammation. There’s certainly an established link between inflammation and cardiovascular disease, but is chronic inflammation a cause of cardiovascular disease? In the same way that high levels of LDL cholesterol are linked to cardiovascular disease, so to is a marker of inflammation called C-reactive protein(CRP). High levels of CRP(>3.0 mg/L) are associated with a three-fold increase in the risk of heart attack. Given that CRP is a marker of chronic inflammation, it makes sense to say that chronic inflammation causes cardiovascular disease. But recently, things have gotten a little murky. The Tsimane are a forager-horticulturist population in Bolivia with a negligible risk of suffering a heart attack. A recent study performed coronary artery imaging on 705 Tsimane to assess the amount of plaque accumulation on their coronary artery wall. The results of the study were pretty telling. Of the total group, 85% had zero coronary artery plaque and 13% had mild coronary artery plaque. Only 20 individuals had a CAC score above 100, which is the cutoff for moderate plaque levels. For comparisons sake, about 14% of the US population between the ages of 45-84 have no sign of coronary artery plaque and 50% have moderate risk. Based off the data, an 80 year old Tsimane has an equivalent level of coronary artery plaque as an American in their mid-50s. While these results are pretty amazing, additional results provide some shock. The average CRP level of the Tsimane was 3.2mg/L, higher than the CRP high risk cutoff of 3.0mg/L based on the US population. Looking at other inflammatory markers, the results were clear: despite having a high inflammatory burden, the Tsimane were mostly free of cardiovascular disease. When we look at CRP across the lifespan, the Tsimane experience a longer period of chronic inflammation than we do. By the age of 34, the Tsimane have experienced high CRP for 15 years whereas Americans have experienced 6.8 years. If chronically high inflammation were the culprit in cardiovascular disease, the Tsimane have a good way of protecting against it. Do these results indicate that inflammation isn’t a problem? At the very least, they indicate that the general process of inflammation isn’t the issue. But inflammation isn’t off the hook yet. Complex problems are rarely solved with simplistic solutions, and this is a great example of that idea. This study makes it clear that it’s not inflammation, per se, that’s the problem. And while CRP is a good biomarker of cardiovascular disease for those of us in the US, it doesn’t appear to be a good biomarker of cardiovascular disease in the Tsimane. So what’s the difference? Well, the number of differences between our lifestyle and the Tsimane could just about fill The Grand Canyon. It’s quite obvious that the Tsimane consume fewer calories and expend more energy than we do. Since they have to work for their food, there’s a point where the extra work it takes to procure food isn’t worth the payoff of getting more of it. Particularly since pizza, cupcakes, and other highly processed foods aren’t on their menu of whole unprocessed food they yank out of the ground. These factors lead to pretty good blood glucose control, something that we don’t experience with our modern lifestyle. And this may just be the major factor differentiating us from the Tsimane, and a powerful contributor to inflammation being associated with CVD in our lifestyle but not theirs. One way we measure blood glucose control is by a test called glycated hemoglobin A1c(HbA1c). HbA1c functions as a way to estimate our average blood glucose level over a 3 month period by measuring the amount of damage(glycation) to your red blood cells. It’s reported as a percentage, with a higher percentage meaning higher average blood glucose levels over the last 3 months. When looking at CAC scores and HbA1c, we find a pretty good correlation between the 2, even without Type 2 diabetes. People with prediabetes, defined as HbA1c=5.7%-6.4%, had an average CAC score more than double that of healthy controls (131.7 vs 62.4). When looking at different populations within the data, 77% of people with HbA1c<5.4% had a CAC score of 0 while 33% of people with HbA1c between 5.9%-6.4% had a score of 0. It’s interesting to note that people in the US with HbA1c<5.4% seem to have about the same rate of CAC score=0 as the Tsimane(77% vs 85%, respectively). Does the gut play a role? In the US, we simply assume that Type 2 diabetes and poor blood glucose regulation are part of the aging process. When we look at the above data on the Tsimane, this doesn’t appear to be the case since only 3 of the 705 Tsimane studied had a blood glucose reading indicative of Type 2 diabetes independent of age. Contrast this rate(.004) with that of people in the US over 60 years of age(.33). But what if the relationship is different? What if our lifestyle promotes blood glucose dysregulation as we get older, and this impacts how well we age? There’s definitely evidence to support this notion. “Inflammaging” is a term used to describe the specific type of inflammation that comes with aging in our population. 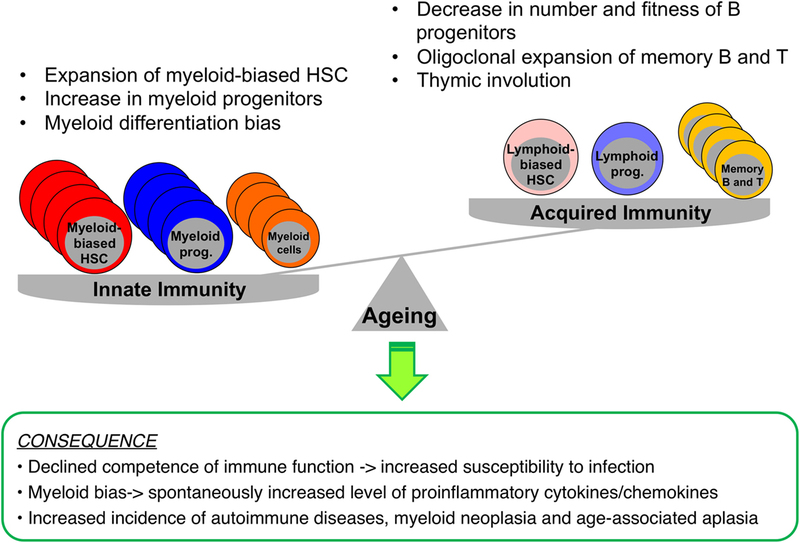 With inflammaging comes a pattern where the hematopoietic stem cells that form our blood commit more cells to the myeloid lineage, leading to an increase in the myeloid:lymphoid ratio. The Western diet promotes this same response via the NLRP3 inflammasome, at least in mice. This same pattern can be elicited in mice by producing high blood glucose, also called hyperglycemia. It’s often assumed that consuming high levels of sugar causes a change in the microbiome that leads to high levels of gut inflammation. This inflammation, in turn, causes an increase in intestinal permeability, sometimes referred to as “leaky gut”. But a recent study casts some serious doubt on the sequence of events here. In this study, it wasn’t the presence of sugar in the gut that caused increased intestinal permeability. Rather, inducing hyperglycemia caused the gut to become “leaky” and bacteria from within the gut to disburse throughout the body. Furthermore, this happened independently from changes in the microbiome. In other words, it’s not the presence of sugar in the gut that causes “leaky gut”, it’s the hyerglycemia that tends to come with a diet high in sugar. Based off this data, sugar appears to be fairly inert with reference to “leaky gut” in people with proper blood glucose control. Rather than avoiding sugar, focus on proper blood glucose control. Another interesting finding in this study was that with hyperglycemia and “leaky gut” came a skewing of the myeloid:lymphoid ratio in the direction of…you guessed it…myeloid cells. We aren’t mice, but this data jibes with a lot of what we see in human studies. Endotoxin is a component of the cell wall of gram-negative bacteria, much of which resides in our gut. People with poor blood glucose control, from either Type 1 or Type 2 diabetes, have higher circulating levels of endotoxin in their blood than healthy controls. Additionally, injecting healthy people with endotoxin while also inducing hyperglycemia and hyperinsulinemia leads to an increase in blood clot formation and a decrease in clot breakdown. These clots form in the narrowed arteries of people with cardiovascular disease and are often the cause of stroke and heart attack. I’m not even remotely sold on addressing cardiovascular disease by lowering LDL-C in otherwise healthy people. As a general rule, I’m not a big fan of upsetting the apple cart of human physiology by manipulating single variables with pharmaceutical drugs or supplements unless the need is absolutely there. Even then I don’t find our current technology to be adequate for addressing chronic disease. While inflammation is an attractive target, recent evidence in the Tsimane indicates that chronic inflammation isn’t the boogieman it’s made out to be either. It’s important to point out that the Tsimane do tend to have low cholesterol, so perhaps the combination of high inflammation and high cholesterol deserve a look. Or maybe it’s something else…I hate to beat a dead horse to death a thousand times, but emulating aspects of the Tsimane lifestyle such as proper diet and exercise is probably far more effective than trying to lower your cholesterol or inflammation with a pharmaceutical or supplemental intervention. Sure, it’s much more difficult, but if you buy in to the notion that gut health is as crucially important to health as I do, you’ll want to avoid hyperglycemia as much as possible. The never ending discussion. Proves that it’s much more complicated then taking a pill. My cholesterol is high but all my markers are normal regarding inflammation. No plaque, which my cardiologist almost fell off the chair. Because he was trying to get me on statins. I have lone afib but no other issues. I wonder if the PCSK9 gene is defective causing high cholesterol. I think high cholesterol can be familial? Familial hypercholesterolemia tends to be due to problems with the LDL receptors. High cholesterol due to poor uptake in the liver.